Naturally, we use our senses to judge the quality of our water. In many cases, the appearance, taste and odor of our water communicate a great deal of information and are a good indicator of quality. But drinking water has both perceptible and imperceptible qualities and what is easily perceptible does not tell the whole story. Most people assume two things; that clear water means clean water, and that municipal water is unquestionably healthy. Both are simply not true. Here in the United States, we have some of the strictest water standards in the world. The National Drinking Water Regulations are legal standards that apply to all municipal water systems which ensure that an extensive list of contaminates be kept below certain levels deemed safe for consumption. This does not mean those contaminates are not present, just that they are kept below certain levels. Additionally, other contaminates are present in water that are not regulated in any way. It is not economically feasible to test for or remove every contaminate that could pose a health risk. Of further concern are contaminates picked up between the water pant and the user location. To meet national water regulations water suppliers use disinfection products such as chlorine to control the growth of microorganisms such as cryptosporidium, Giardia lamblia and Legionella. While more pleasing to the senses, this essentially causes the water to become differently contaminated. The products used to control many contaminates causes disinfection byproducts such as Bromate, chlorite and TTHMs that can cause such things as an increased risk of cancer; liver, kidney, and nervous system disorders, and anemia. While children, the elderly and those with existing health issues are more at risk, these chemicals are of concern to everyone. Is it as Safe as You Want? Although the Environmental Protection Agency asserts that 90% of the water systems in this country regularly meet established (and baseline) water quality standards, it does not prevent many dangerous contaminates from entering the water supply somewhere in the plant to home process. These include (but not limited to) arsenic, lead, and many disease causing viruses. In as little as 15ppb (parts per billion) lead can be a very dangerous to infants and children leading to problems with mental development, kidney problems, and neurological disorders. Never assume that clear water equals clean and safe water. Find out more about the chemical make-up of your water with a water test. It is fast, easy, and provides you with the information you need to know in order to make healthy decisions for you and your family. 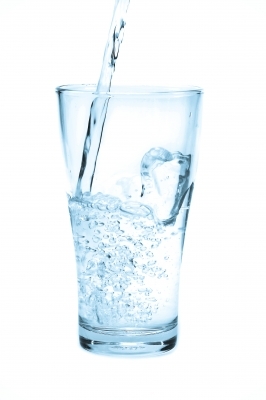 If you have questions about the quality of your water, give Nuvia a call today.